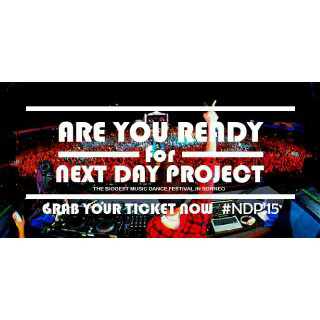 " NEXT DAY PROJECT "
NDP'15 on 8th August 15 at Stadium Mulawarman, Bontang. Are you ready for the biggest event in the East Borneo ever? Get higher and loose some more on the dance floor! Calling out all party people. So be a part of us and add NDP'15 Official Account to more info.
" you say rave, we say party "